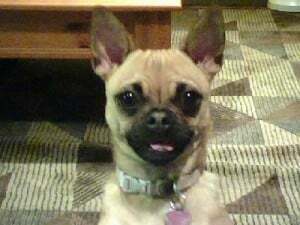 The Chug dog appeared as a result of crossing a Pug dog with a Chihuahua, having very different types of appearance and personality, as the parent dogs are quite different with regards to most traits. Despite many opinions that a cross breed dog will only gather the best in the parent breeds, things in reality are not quite like that. As there is no absolute control on the genetic information that passes on from the parents to the cross breed puppy (even less control when the breeds are different), these often act like true presents, not knowing what inside until it is unwrapped. So it’s also a small act of courage when wanting to adopt a cross breed dog, but it’s certainly no bad think in getting one near your heart and in your home, as long as people don’t mind the so called guarantees provided by one breeder or another that it’s for sure this dog is hypoallergenic or has fewer or no health issues. The personality of a Chug can be quite different from one specimen to another. This depends on how much genetic information is passed from the Chihuahua’s side, a rather suspicious dog, or from the Pug’s side, which is most of the time a funny and sweet dog. The best scenario is a combination of friendliness and affection. With a weight of mostly between 4 to 9 kilos, the Chug dogs have a size comfortable enough for keeping in a home. However, the size is another trait that may vary beyond these predefined ranges, due to the breed crossing. One shouldn’t overlook the possibility for a Chug to also inherit some traits that are not so desirable such as the yapping of the Chihuahua or the Pug’s exposure to breathing problems. Also, as one of the few things in common for both breeds is the burst of self esteem, they may even require protection from themselves. For example, Chihuahua dogs are aggressive when in contact with bigger dogs. In order to avoid such traits to develop in a Chug, this dog needs to be exposed to socializing almost permanently. Taking a Chug to a kindergarten for puppies may also work just fine. Another thing that makes a Chug a good option from a comfort point of view is that they have a low to medium level of physical activity. However, they generally enjoy playing and walking and they may even participate in contests if properly trained. If a Chug enjoys a bit too much the food, it means he inherited his appetite from his Pug parent, so attention needs to be paid so the dog doesn’t end up in being overweight. If this does happen, it usually means issues with breathing and joints. Although it’s likely for a Chug to be smart and quick-learners, they also can have some attention deficiencies. The training needs to be therefore broken down in smaller sessions, also having a dose of fun in them. These dogs, like most others, love praises, rewards and other positive reinforcements. The idea behind people crossing breeds of dogs for such long a time is to get a desired look, working ability, personality or temperament. The results of such attempts are the well known and nowadays purebreds Doberman Pinscher, Affenpinscher, Leonberger, Australian Shepherd and others. However, it’s not random breeding that makes a new breed, but mixing breeds that have some common traits such as size, look, personality, in order for the resulting puppies to be, in their turn, consistent in the traits they inherit. After choosing the specimens with the desired traits, it still may take a few generations before newborn puppies inherit those particular traits which then become standard. With the desire to find some dogs that are other than the already popular Poodles or Yorkies, people got their eyes on the cross breeds, such as the Chug. Although some continue to consider that by cross breeding the resulted dog is safe from most health problems or hypoallergenic, these are only false claims. 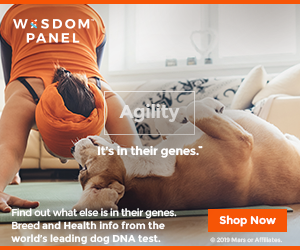 Nevertheless, there is no absolute control over genes so there’s no way to tell if a dog will inherit a certain set of characteristics or more intelligent or less exposed to the usual health problems. Nature plays its role and can always turn something into a surprise. Both environment and genes are the sources that affect the development of a temperament in a dog. As the mother dog is the most likely to influence the puppy, this is therefore the most important thing in a Chug’s temperament, although both parents can pass on information in this respect. The dog can act more independently if the Chihuahua branch is dominant, or more like a clown, if the dominant gene is the one from the Pug. While genes provide the basis for the dog’s temperament, the environment and the socialization level to which the dog is exposed have something to say, too. Both parent breeds of a Chug are often very stubborn and manifest resistance to training, but positive reinforcements can bring up good results with Chugs. They need to feel appreciated, rewarded, played with, so this way may react positively to training and advance quickly through the sessions. Both fun and patience are requirements during the training of a Chug. Ideally for a Chug dog is to be neither excessively shy, nor aggressive. 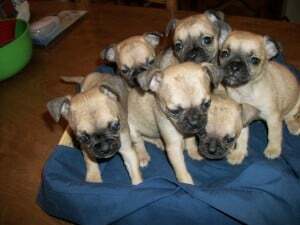 When wanting to adopt a Chug, if the parents are hard to get close to or run off scared, it’s likely for these traits to be passed on to the puppy and such cases should be avoided. 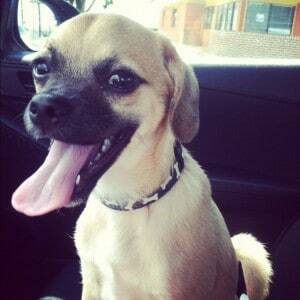 The training of a Chug should begin right after he is adopted and brought home. Being very young doesn’t prevent a Chug puppy to learn very quickly all he is taught, provided he is around eight weeks of age at least. If they get a few months old or even more, training becomes a burden and may even be unsuccessful. Getting the Chug puppy to socialize a lot is the key to a good training. Consider taking him to the puppy kindergarten to have access to other dogs, but also don’t skip the vaccines part, as in many cases they are required for a puppy before getting in touch with other dogs or take part in training classes. The vaccines prevent disease occurrence and transmission (parvovirus, rabies, as well as distemper) so one needs to turn to a veterinarian for this. Being almost permanently in touch with the puppies, the breeder is the best to advise what puppy one should get, considering the needs and desires of that person, so it matches the personality and lifestyle. Similar to people, dogs too can inherit health problems from parents. So if a breeder guarantees that a cross breed puppy is free of any health issues, while not being to provide some solid arguments or take responsibility for it, it should be strange enough for a person who wants to adopt to turn down that breeder and look for another source. A breeder with a good reputation will try to make a person aware of health perils for the puppy right from the start. 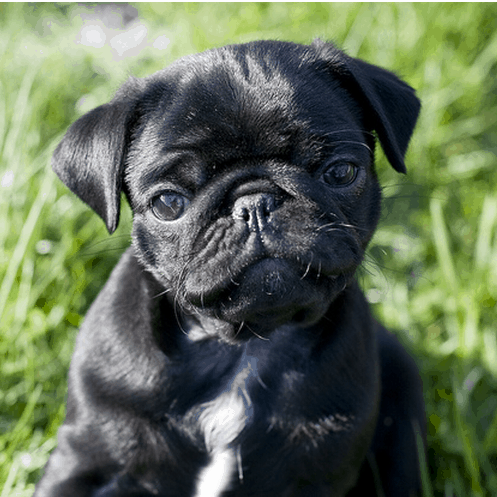 Genetic heritage can expose a Chug dog to health issues from both the parent breeds, as well as it can render him safe from most problems the Chihuahua and Pug have. The multitude of genetic combinations makes the ability to predict the health status in a cross breed dog almost impossible. The best way to deal with this is to be informed in advance about the problems that both Pugs and Chihuahuas develop, in case any of them pass on to the Chug. Some health conditions are not able to be detected when the puppy is little, as they only become visible later on. In this instance, the more reputable the breeder is, the better, as breeding only the healthiest specimens decreases the health problems risks as much as possible. Reputable breeders usually issue certificates to confirm if the parents for each puppy were screened and tested for genetic conditions and also point out if they were registered with the animal health foundations. A breeder who is unable to provide the above mentioned certifications or saying that these are not necessary is to be avoided. Careful, passionate breeders do everything in their power to test the breeding dogs and make sure no health problems are passed on, but sometimes some unfortunate things happen which are out of their control. Therefore it can happen for a puppy to be sick even if all the precautions have been taken. But medicine nowadays is advanced enough to make a puppy enjoy life in a home even if they are not 100 percent healthy. Also, it’s important to obtain information about the life expectation before adopting or buying a puppy. Once adopted, a puppy needs to benefit from all the care, attention and affection of the family, in order to both live a happy life and be kept safe from health problems, of which the most common is obesity. This further helps preventing other conditions to occur. Depending on the traits of the parents, the coat of a Chug can be either a smooth, short one or a long one. For the latter the explanation would be the presence of a longhaired Chihuahua along the parent breeds’ tree. Since both the Chihuahua and the Pug are considerable shedders (especially the Pug), the Chug will also require daily brushing in order to remove the dead hairs and not to allow them to spread all over the house. The Chugs need special care for their face wrinkles, should they be present. These need to be carefully wiped with baby wipes or a piece of smooth cloth and the folds need proper drying afterwards. It is recommended to apply some corn starch or some baby powder on the dried folds, but watch out not to drop them in the dog’s eyes. This wrinkle care needs to be carried out daily for some dogs and once every few days or up to a couple of weeks for others. Other Chug grooming activities include nail trimming, ear cleaning and teeth brushing, all of them the more frequent, the better. It is recommended to use products approved by veterinarians for teeth brushing, as small sized dogs are usually subject to periodontal disease. One of the main reasons for the Chugs’ popularity is the fact that they are very cute animals, which is also probably the first selling argument for dogs in general. Taking advantage of this, some breeders may go only after the money and breed Chugs irresponsibly. However, it’s good to know for someone wanting to get a Chug that it is not necessarily to pay a lot of money for one, but can get one for free if turning to adoption shelters or specialized organizations like Petfinder. 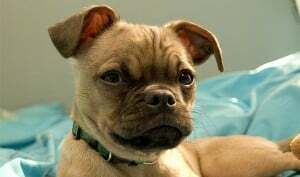 Always turn to a reputable breeder to get a Chug, in order to get the best chance for a healthy puppy. Responsible breeders test the breeding specimens so that they reduce as much as possible the risk of diseases being passed on to the puppies. It is also good to obtain some health certifications from the breeder. If wanting to get a Chug, it is always a good chance to try speaking with the local veterinarians or breeders, as they are very likely the first to find out information about people who want to give away their Chug, for any reason. Just let them know what type of Chug you are after and they will be the best to advise on how and where to get it.